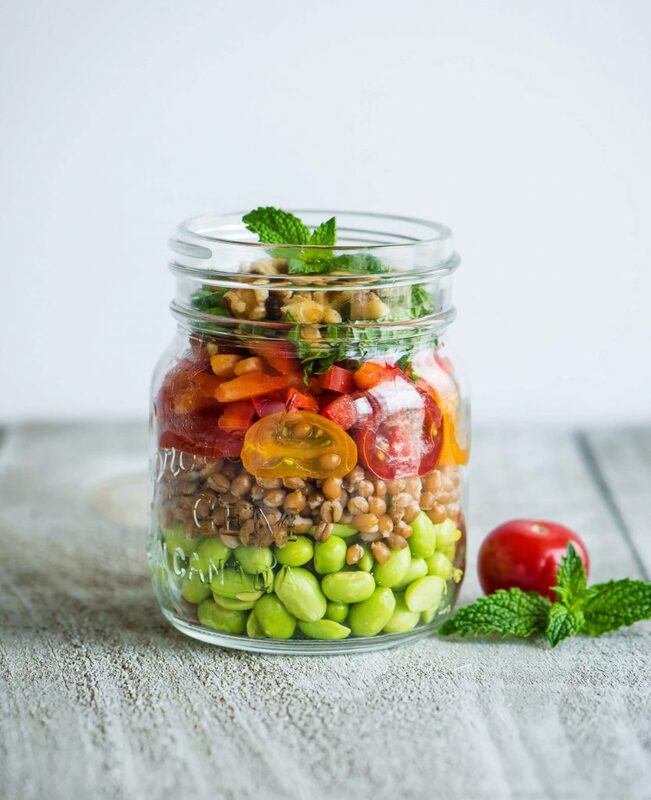 Crunchy edamame, crisp bell peppers, and fresh herbs tossed in a citrus vinaigrette with tender, hearty wheat berries … Delicious! 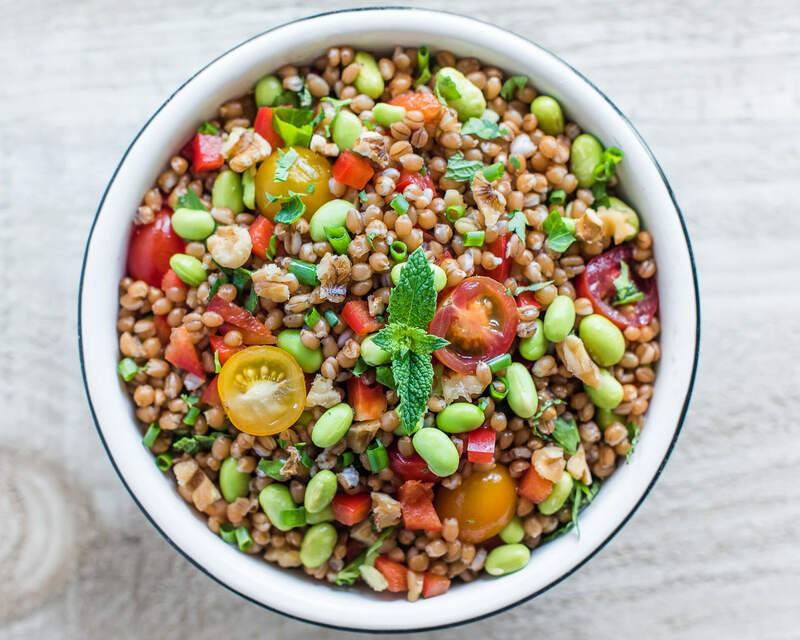 But, wait… What in the world is a wheat berry? If this is a new-to-you ingredient it is definitely one worth trying. 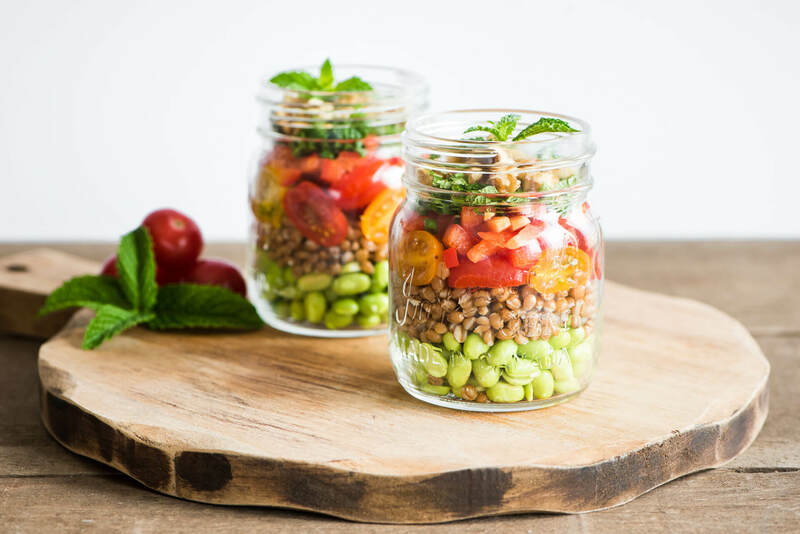 Cela and I had a chance to explore wheat berries in the GetJoyfull kitchen recently, and discovered they add the perfect nutty pop, and fibre boost to so many of our favourite dishes. 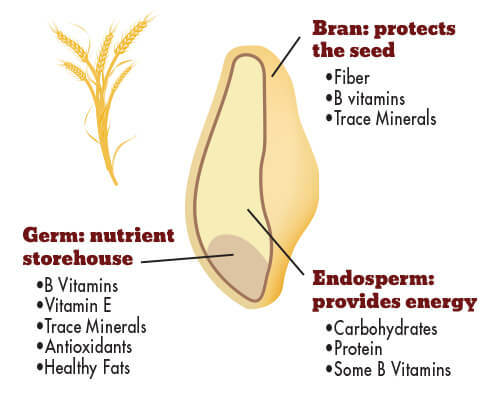 The wheat berry is essentially the whole grain, or least processed form of wheat. All three parts of the kernel bring unique nutrients to the picnic party – the wheat berry is a win, win, win. As a busy Mama of two, I am a big fan of make-ahead meals that still shine with a fresh made feel. First to mind are mason-jar salads. 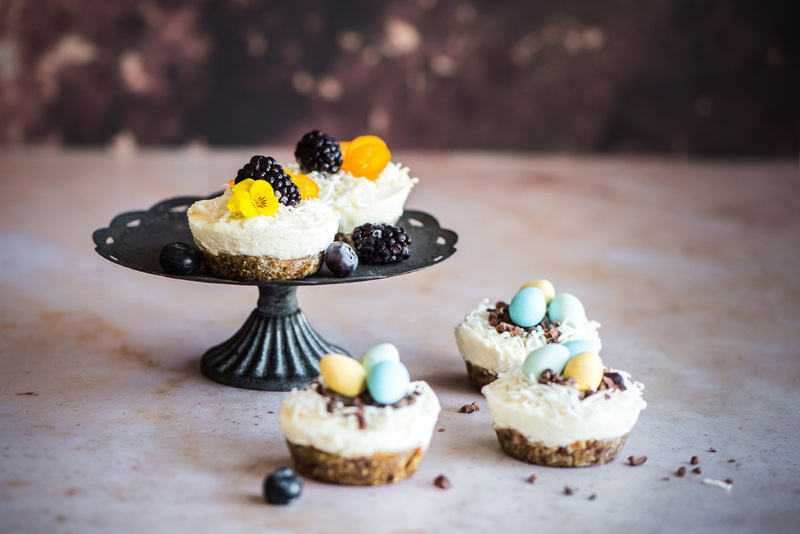 My foodie BFF, and a-ma-zing photographer Jessica Musslewhite recently stopped by the GetJoyfull kitchen, and together we crafted quite possibly the best one ever! Our “Wholehearted Wheat Berry Salad” is perfect for summer picnics, lighter lunches, and grab & go dinners. 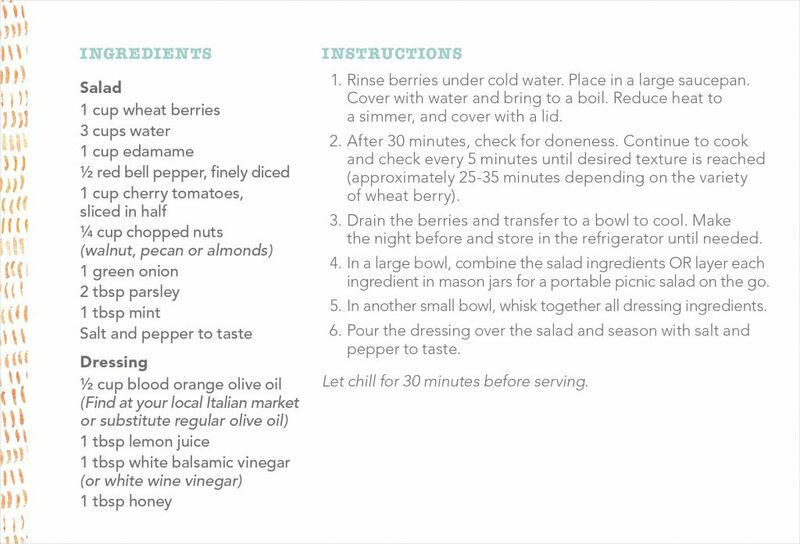 On the days I bring this mason jar salad to work, or backyard gathering it always starts conversation, and sharing. We don’t always think of salads as filling, and energizing, but they sure can be. 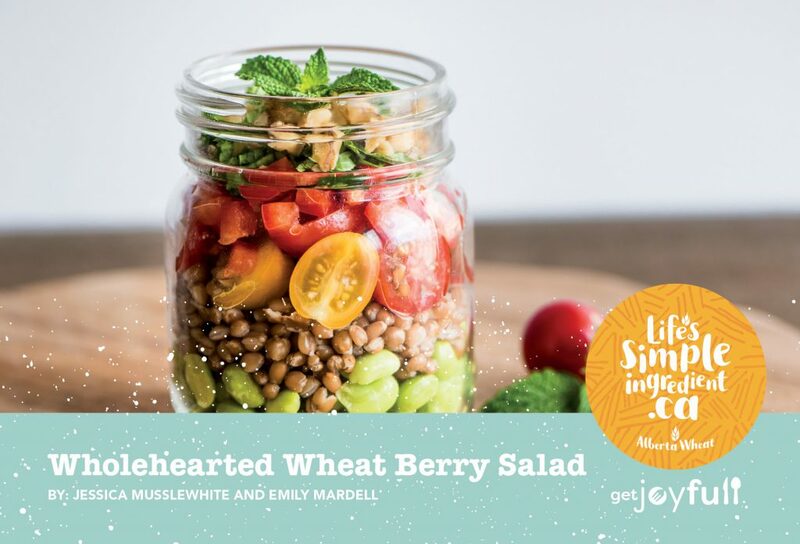 Our “Wholehearted Wheat Berry Salad” is bursting with fibre, protein, and healthy fat. Ten minutes with this salad, in the sun, on a blanket is all the “me time” I need to recharge, and power through the afternoon. Tip: Wheat berries take about an hour to simmer, and cook on the stovetop. Make extra a freeze so they’re reading to go next time you want to pop them into your summer salad or favourite fall soup recipe. We had a blast in the GetJoyfull kitchen preparing this fresh and yummy summer favourite. We’d like to say thanks to Alberta Wheat and Life’s Simple Ingredient for helping make his post possible. 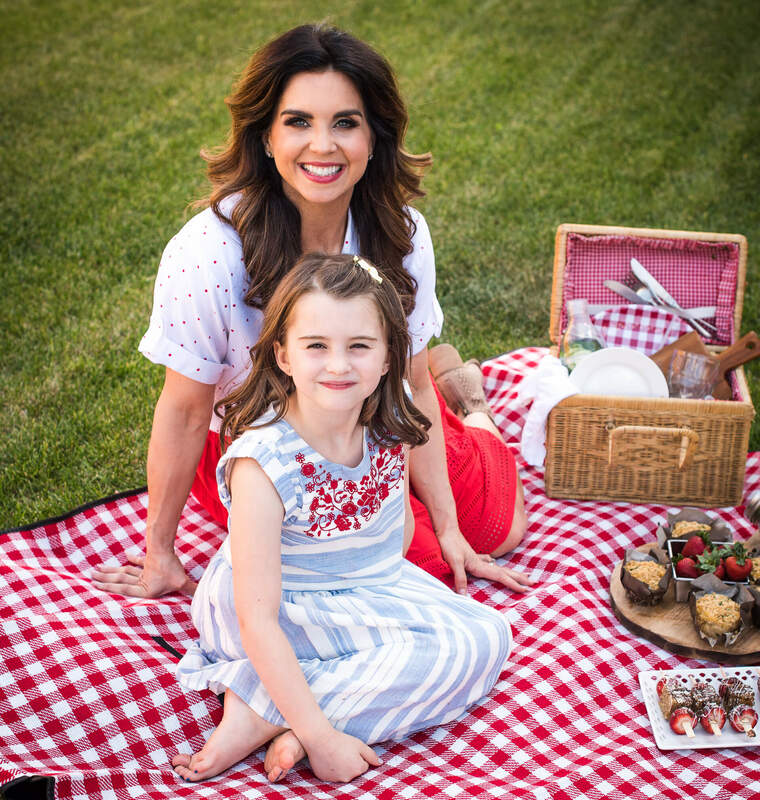 Keep an eye on our feeds later this week for a yummy and portable dessert recipe made with a little love, summer fun and Life’s Simple Ingredient. As always don’t forget to Fill up on Family Time.